Visiting vessels of various types. No loading or unloading occurs here. Sailing ships that visit Karlshamn moor here. The view shifts quickly in Karlshamn eastern quay. 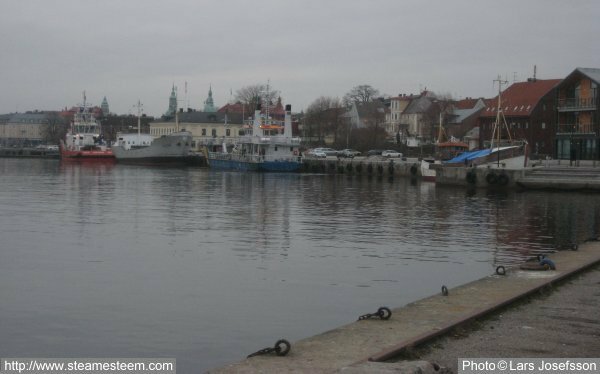 At the far end is Karlshamn's new tugboat.